(Above) First glimpses of the Eastern end and the Meagaidh area looking good with fresh overnight snow on the upper slopes of Coire Dubh (rt) and Coire nan Gall. 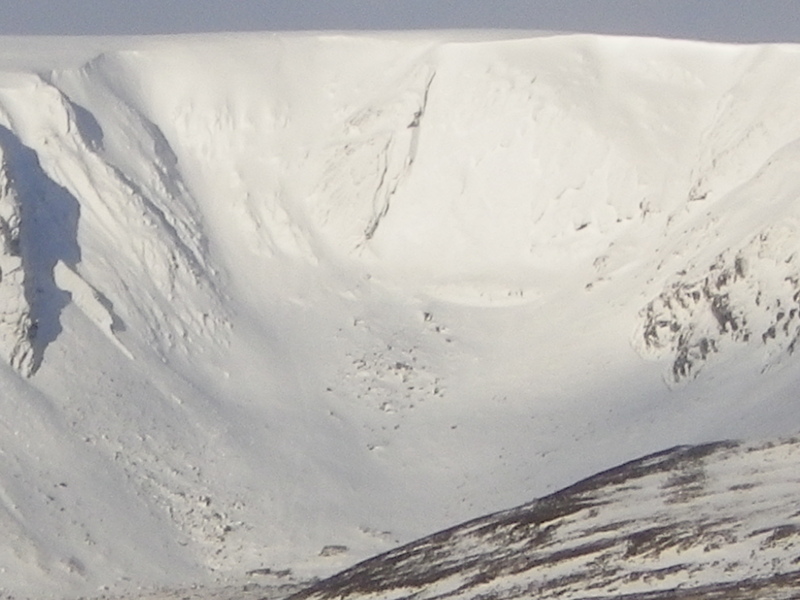 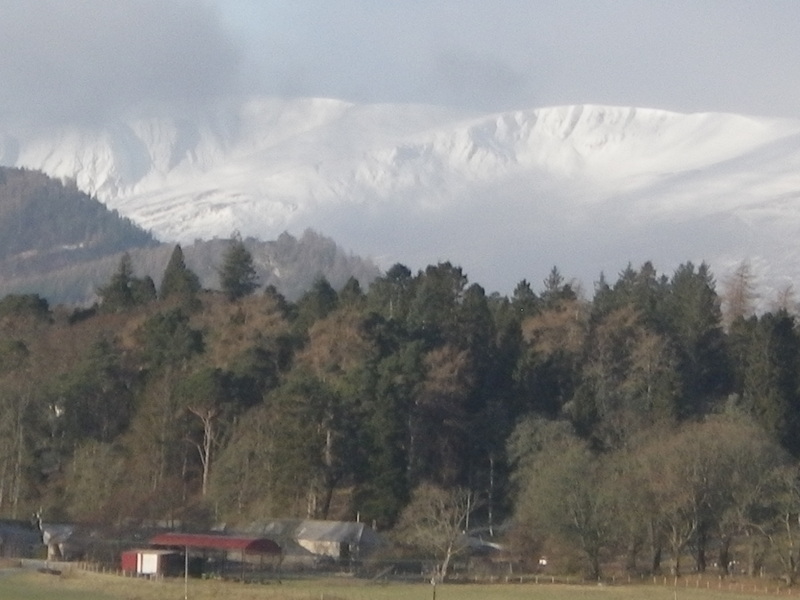 (Above) Coire Dubh. 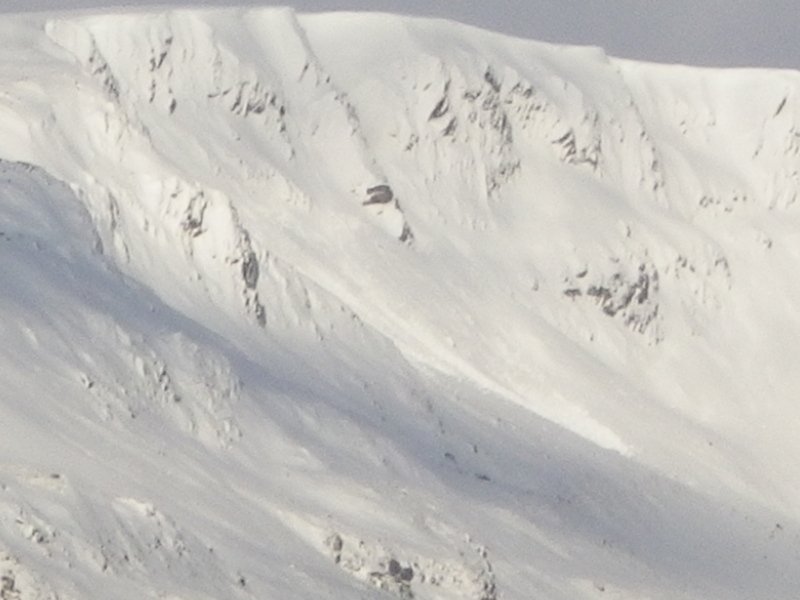 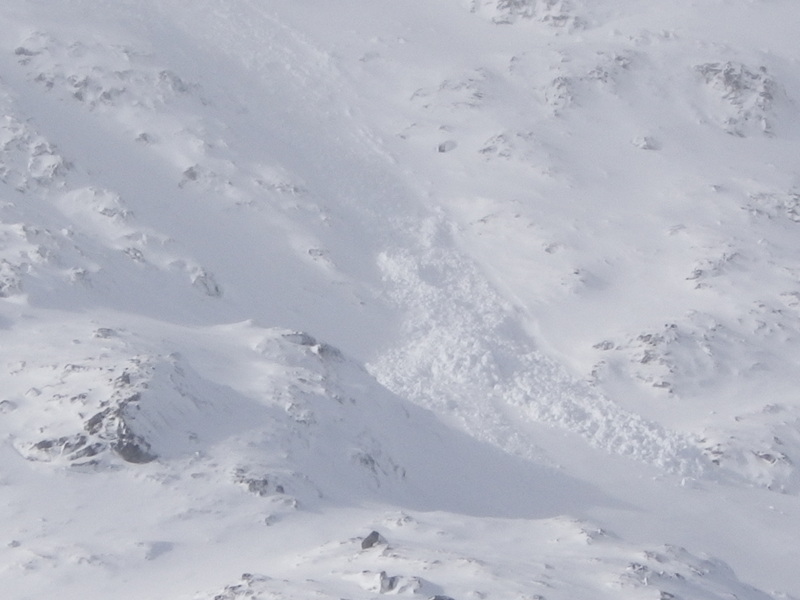 Again debris from cornice related events overnight – this on a more NE aspect. 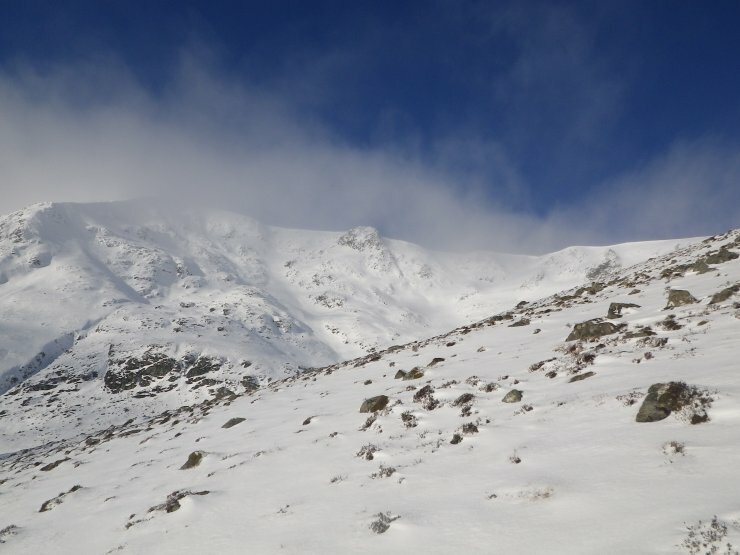 (Above) Plenty of blue skies today on the walk into Coire a Chriochairein – only detracted from by the presence of a widespread breakable crust once away from main path.